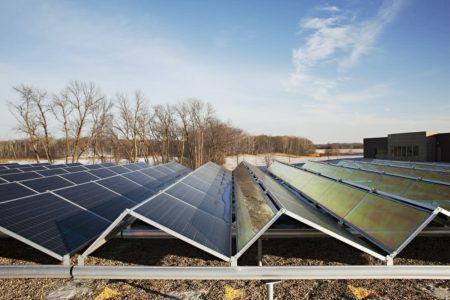 This entry was posted in Nebraska / Midwest News, NewsBlog and tagged Environmental Initiative, Frank Jossi, Midwest Energy News, Minnesota Sustainable Growth Coalition, Nebraskans for Solar on June 30, 2016 by Helen Deffenbacher. 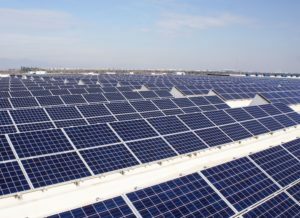 According to industry groups – and Wunder Capital’s experience lending in the space – comparatively anemic solar growth in the commercial market is largely due to limited access to affordable capital, an issue especially true for smaller commercial projects (less that 200 kW in size). Much of the lending for these types of projects is done by local banks and credit unions that make traditional loans based on the business principal’s credit and general business assets. Most of this lending is both inefficient and time consuming. Fortunately, we’re starting to see more solar-specific financing options. For larger commercial projects, there are several solar finance organizations that can be a good fit. In addition, states have started to get on board with loan programs like Nebraska’s Dollar and Energy Savings Loan Program and Colorado’s C-PACE Program. Click to read more. Cameron Ramey is director of operations at Wunder Capital, a financial technology company that provides financing to commercial solar projects. This entry was posted in Financing, Nebraska / Midwest News, NewsBlog and tagged commercial solar energy development, Nebraska Dollar and Energy Saving Loans Program, Nebraskans for Solar, Property Assessed Clean Energy (PACE) Financing, Solar Industry Magazine, Wunder Capital on June 30, 2016 by Helen Deffenbacher. Extending tax credits for renewable energy, efficiency standards for appliances and vehicles, and making the Clean Power Plan more aggressive past 2030, would reduce carbon dioxide emissions from energy sources and boost renewable production, according to the U.S. Energy Information Administration. Solar and wind generation could grow to 1,236 billion kWh in 2040, 30% above a projected 950 billion kWh in the current reference case if tax credits are kept in place. Click to continue reading. Texas on Track to Become the Fastest-Growing Utility-Scale Solar Market in the U.S., Solar Energy Industries Association. WASHINGTON, D.C. – Kicking off the year with record growth across all solar sectors, Texas is on track to become the fastest-growing utility-scale solar market in the U.S. within the next five years, according to the recently released U.S. Solar Market Insight, Q2 2016, compiled by GTM Research and the Solar Energy Industries Association (SEIA) . . . Of the 4,600 MW projected to come online in Texas by 2020, 4,000 MW will be utility-scale. Read more here. This entry was posted in Nebraska / Midwest News, NewsBlog and tagged Energy Information Administration (EIA), Greentech Media Research, Nebraskans for Solar, Solar Energy Industries Association (SEIA), U.S. Solar Market Insight - Q2, Utility Dive on June 29, 2016 by Helen Deffenbacher. The issue of confidentiality on the costs of generation has become high-profile recently because Gary Aksamit, a Bruning native who heads First Security Power, an energy marketing company based in Dallas, has gone to court to get more information from the Omaha Public Power District, Nebraska Public Power District and Municipal Energy Agency of Nebraska. Aksamit last year also claimed at an energy symposium that Nebraska ratepayers could save $250 million a year by opening the state’s retail market to outside competition. Nebraska is the only state where all electricity is delivered by publicly owned utilities. Read more here. This entry was posted in Nebraska / Midwest News, NewsBlog and tagged costs of power generation in Nebraska from all sources, Kearney Hub, Nebraska's public utilities' confidentiality / transparency on June 28, 2016 by Helen Deffenbacher. Nominate a leader today. 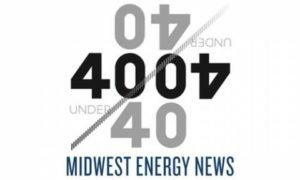 Nominations close August 5 at 12:00 noon CT. Midwest Energy News’ 40 Under 40 award program highlights emerging leaders throughout the region and their work in America’s transition to a clean energy economy. The 40 Under 40 relies on the expertise of a selection advisory committee to choose the final group of winners. Read more about the 2016 selection advisory committee. See the 2016 promotional partners. The inaugural 40 Under 40 to celebrate Midwest Energy News‘ fifth anniversary was launched last summer and received hundreds of nominations of Midwest-based leaders and innovators from all sectors —industry, government, regulatory, business, academic, and advocacy. Review the 2015 cohort of 40 Under 40 recipients . 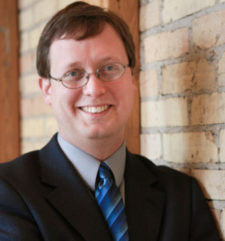 This entry was posted in Nebraska / Midwest News, NewsBlog and tagged Midwest Energy News' 40 Under 40 Awards, Midwest leaders in the transition to renewable energy, Nebraskans for Solar on June 28, 2016 by Helen Deffenbacher. Officials in a Minneapolis suburb adopted an aggressive greenhouse-gas-reduction policy last month that was brought forth by a group of local high schoolers who are part of a national climate change movement. 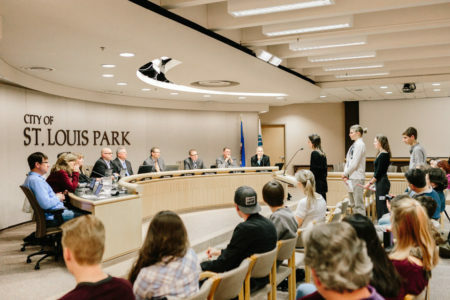 Drafted by iMatter, a national youth-led group, the resolution aims for net-zero emissions by 2040 in St. Louis Park, a suburb immediately west of Minneapolis with a population of roughly 47,000. The resolution also commits the city to working with youth activists on its future goals and planning . . . The students were the first in the country to have a resolution passed that was prepared by iMatter, which is training high school students across the nation to lobby their communities to pass a “Climate Inheritance Resolution.” The group’s website says similar efforts are underway in cities in New York, Iowa, Illinois, California and Canada. Click to read more. This entry was posted in Nebraska / Midwest News, NewsBlog and tagged climate change mitigation, Frank Jossi, iMatter, Midwest Energy News, Nebraskans for Solar on June 27, 2016 by Helen Deffenbacher. Officials said the energy storage project will be the largest of its kind at an educational institution in the United States. 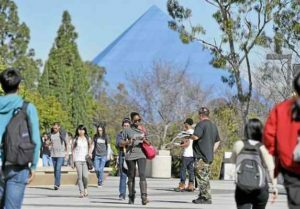 Cal State University announced Wednesday a landmark energy project expected to cut costs by millions and provide a boost to the electricity grid. The 23-campus university and San Francisco-based Advanced Microgrid Systems will install advanced battery storage facilities at several locations — starting at Cal State Long Beach this summer — with the first phase aimed at reducing electricity costs by $3.3 million and storing enough energy to power 2,000 homes. 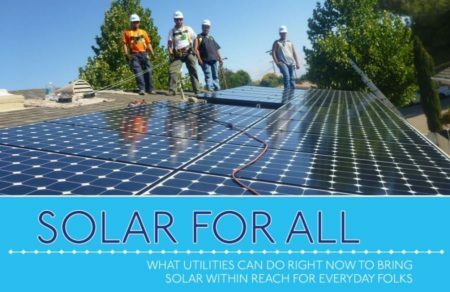 This entry was posted in Energy Storage, NewsBlog and tagged California State University's solar+storage initiative, LA Daily News, Nebraskans for Solar, U.S. universities installing solar+storage on June 26, 2016 by Helen Deffenbacher.